A part of a circle is called an arc. Let us take two points on the circle - A & B. 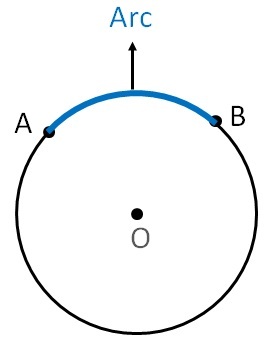 If we join A & B along the circle (the blue part), we get a part of the circle. Note : We can also join it from the other side, then it will be a major arc.